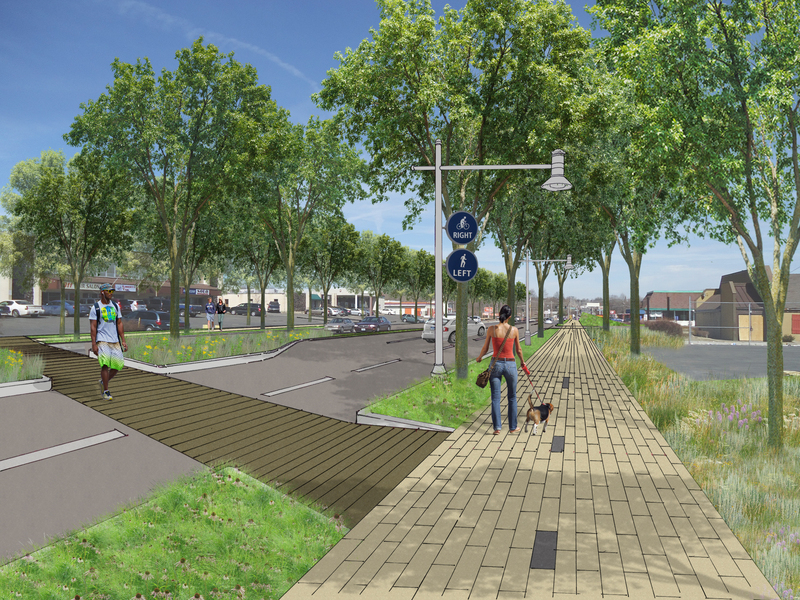 The West Florissant Avenue Great Streets Project is currently in the Preliminary Design phase for Segments 3, 4 and 5. During this phase, the Project team will develop design plans that are 30% complete for each segment. This level of detail gives the community specific design options to review and provide feedback, allows for flexibility, and is required for federal funding applications. During the Preliminary Design phase, the Project team will use the Master Plan framework, data analysis, engineering surveys, and public feedback to make design and implementation recommendations that will help the vision become a reality. The West Florissant Avenue Great Streets Project is also committed to workforce diversity and participation. Through December 2016, our diverse business enterprise (DBE) participation was 34%, well above our 23% project goal. The Project team includes 16% women and 22% minorities.